You will change your mind about French baking after reading this cookbook. When French baking comes to mind, many of us think of the French patisserie with the stunning yet complex, fussy, time-consuming, and detailed works of edible art that we could never make at home. Here is what I learned from Dorie Greenspan’s new book, Baking Chez Moi – real French people don’t bake this way! The complex pastries are wonderful, but left to the professional patissiers. The French who bake at home, bake for their families and their closest friends. The recipes are deeply personal, simple, and also perfect. The recipes have nothing to do with fancy French techniques or spun sugar. Instead they are homey and comforting, fun and generous, and tied to family and traditions. My kind of book. Dorie Greenspan lived in France for almost two decades and gathered recipes from all over the country. There are two recipes in the book that you will love for the holidays: a “Cranberry Crackle Tart” for Thanksgiving, and a “Gingerbread Buche de Noel” for Christmas, both definitely on my list, and also the soft-salted butter caramels to give away for gifts. 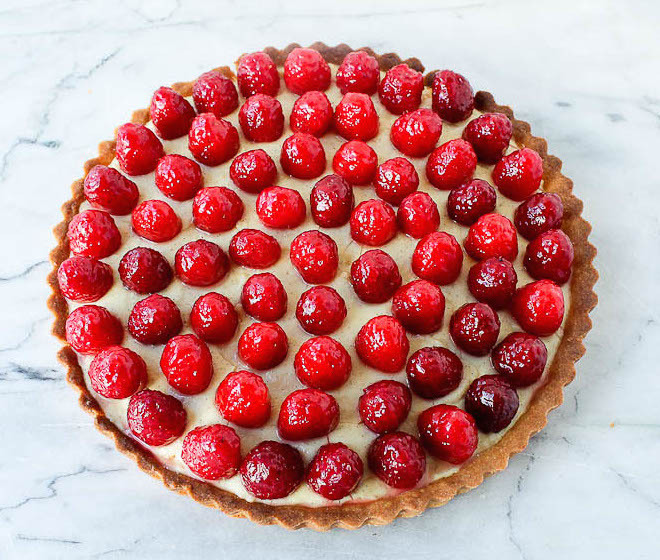 But the first recipe I tried from the book was the “Classic Fruit Tart.” Greenspan writes that the pastry that changed her life and made her long to live in Paris was a simple, tiny fruit tartlet filled with pastry cream topped with wild strawberries glazed with jam. This is just a larger version using raspberries. There are only three elements here according to Greenspan: the crust must be beautifully browned, because if it is pale, you will be cheating yourself of the full flavors of the ingredients. When you’re baking, color equals flavor. Greenspan says she is known as “Miss One-More-Minute” as she is always putting things back in the oven for a tiny bit more time and a little bit more color. I remembered this as I baked the tart crust and left it in another minute. She was right. Of course she was right. The crust is flawless. Next, the pastry cream should be silky, cold, and well-flavored. The little black specks in the filling are from the vanilla bean. You can use vanilla extract, but using the bean makes it even more flavorful. The filling can be made a few days ahead and even gets better as it chills. And last, the fruit should be ripe and luscious. 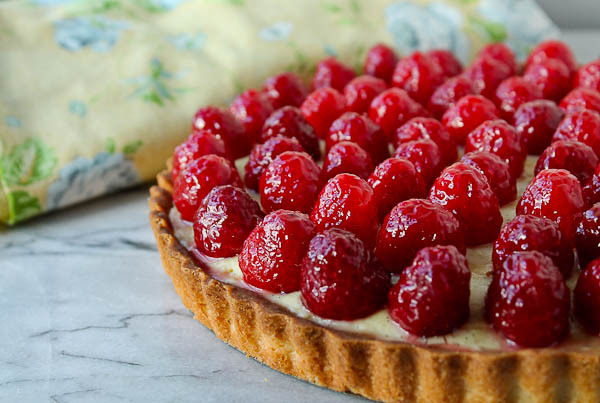 The completed tart should be served as soon as possible after it is assembled, but can be kept in the refrigerator, away from foods with strong odors, for up to four hours. Owning this book is like having Greenspan with you in the kitchen. Everything is explained in easy terms as she guides you through each step, ensuring you that your dessert is going to be spectacular. The most difficult decision is where to begin. Simple cakes, fancy cakes, tarts and galettes, baby cakes and petite pastries, cookies and bars, or fruit, creams, frozen desserts, or candies. For me, I know exactly what is next; the lemon madeleines. I learned some secrets about baking madeleines that I didn’t know, and Greenspan didn’t know until she learned from two of Paris’s finest pastry chefs. First is to bake the chilled batter in a cold pan on a very hot baking sheet. The second tip was in glazing the madeleines after they are baked by gently dipping them into a glaze, placing in a 500 degree oven on a parchment-lined sheet for 1 to 3 minutes, pulling them out at the first sign of a bubble in the glaze. I can’t wait to try these. Now you must be anxious to own this book, right? You should be, because it is truly marvelous. Every cook should own this book. 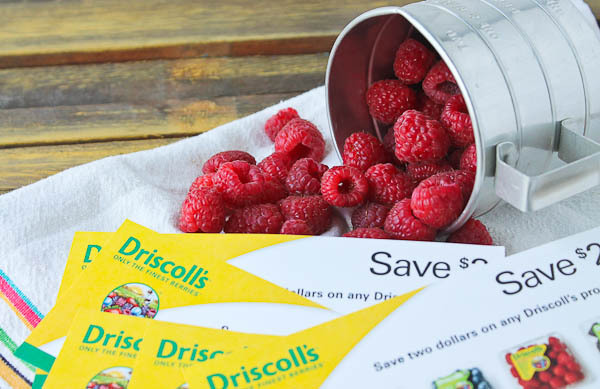 Not only that, I will throw in $15 worth of coupons to buy some beautiful fruit from Driscoll’s. 1) Leave a comment here on the blog about your favorite dessert. Is it a chocolate cake from a secret family recipe or a fancy dessert you tasted in a restaurant? I’d love to hear all about it, whatever it is! 2) Leave an extra comment(s) if you have also posted about this giveaway with the link to this blog on your own Facebook page, your own Twitter account, or pinned this giveaway to one of your own Pinterest boards. You will get one extra entry with each! 3) Only comments left on this page will be valid. Each entry must be a separate comment and not a reply to a comment and not multiple entries within one comment. 4) The random drawing (for Continental USA only) will run from today, November 3, 2014 to Saturday, November 15, 2014, when entries will close at 11:59 pm CST. I am running this one an extra week longer than my usual giveaway because it’s such a fabulous book! The winner will be notified by Monday, November 17, 2014. If the winner has not responded in three days, a new winner’s name will be drawn. Good luck everyone! I am already happy for the future winner! Congratulations to last week’s winner of the “Recipes from Country Inns,” Michele Hemming! Tweeted and liked on FB. Tried to PIn but not sure it worked. This book looks fantastic. My favorite special occasion dessert has to be German Chocolate Cake. My Granny used to make me one for my birthday every year. After she passed my Mom made me one or two and then after Mom was no longer able my daughter baked me some German Chocolate Cupcakes one year. All were good but not quiet as good as Granny’s. Thanks for the chance. Black-out cake is my favorite but I can’t get it anymore. I also love Cannoli from the local bakery. Having just returned from a two week vacation in France, I’m in the mood for even more beautiful French pastries. Even the simplest ones are absolutely delicious. My personal favorite dessert is a French one — tarte tatin. Even better is the tarte tatin with salted butter caramel recipe that I found at the Chocolate & Zucchini blog. 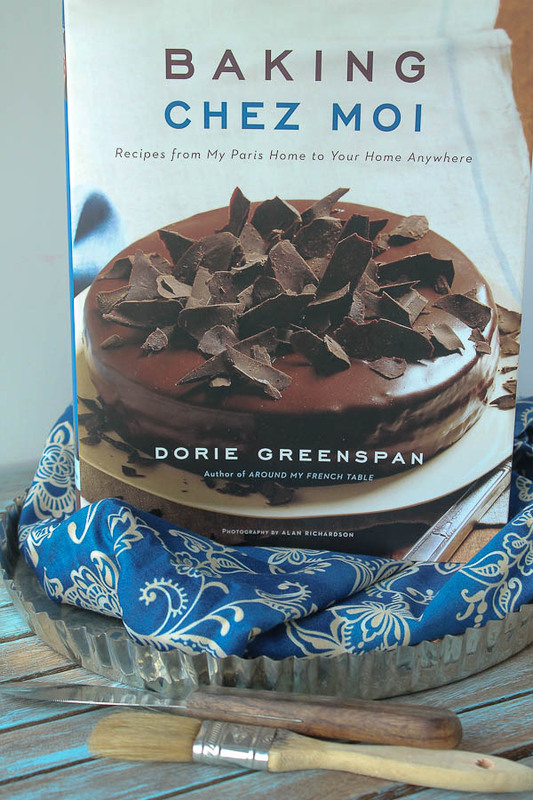 I’m a big fan of Dorie Greenspan’s “Around My French Table” cookbook. Since baking isn’t my strongest kitchen skill (although I’ve made progress in mastering the macaron, thanks to the class I took), I’d love to have her guidance as I work on improving my baking skills. And if you should need someone to taste test your salted butter caramels, I volunteer! My favorite dessert is a coconut dulce de leche cake. I made it for our wedding cake and it remains our family favorite. We get asked to bring it to every large family gathering. Love love love Dorie and her work. Thank you! I love Éclairs. I don’t have them that often but I love it when I am able to eat one or two. My Mom’s Homemade Sweet Potato Pie is absolute perfection! Its rich texture&flaky crust is what I’m waiting for every Thanksgiving when I come home! /// RT’d,pinned,FB. My favorite dessert…. honestly, I’m still searching. I love cheesecake and anything with chocolate. But as of yet I’m all hunting for my perfect dessert. So I know this is a post about Dori, but an all time favorite at our house is David Lebovitz’s chocolate Orbit cake or as it was once known “Idiot Cake”. Since he and Dori are both residents of Paris and friends, it seems like it should be “fine”. Another all time favorite are Dori’s World Peace cookies – amazing. My favorite dessert is something I had on my stage in France: cassis and violet Religieuse. My favorite dessert is carrot cake – with cream cheese frosting of course!! This book looks wonderful! My favorite dessert is either homemade cream puffs dusted with powdered sugar, or gooey chocolate chip cookies. My mom’s macadamia and coconut tart. It’s hard to choose just one but being a chocoholic I guess it would be a molten chocolate cake. Chocolate cake or brownies .. and the cover picture of this book looks like I’d LOVE it! My favorite dessert is tiramisu. It just has every component of perfection and ALWAYS makes me happy when I see it presented in front of me, or when I’ve made it. A really tart lemon tart. Thanks for the giveaway. I have heard so many great things about this cookbook and heard an interview with Dorie the other day….I can’t wait to get it (winning or buying). I love dessert in any shape or form but my favorite is a cookie bar that my mom makes called sloppy squares. They are soft and not too sweet. I always ask for them and crave them now that I’m pregnant. Just recently retired and will have more time to bake and bake and bake…this book would give me new inspiration! Will try to do the Facebook thing…not sure I know how, but I’ll give it a try. The best dessert I ever had was a trio of gelato filled cream puffs with chocolate sauce at Marcella’s here in Columbus, Ohio. They were amazing! I liked on Facebook! Yes, I do like! I have been researching French baking recipes lately. I’m so glad you introduced this chef and book. Very excited to possible win it. If not, I will be purchasing it. Thank you Debbie! I enjoy greatly Dorie Greenspan’s recipes. I have one of her other books that I received as a gift from my husband, and would greatly enjoy this giveaway book to add to my collection. She has a lot of true and tried recipes that work so well. My favorite dessert is an apple meringue pie my boyfriend makes. Your description has my mouth watering for a slice of that tart! Oh my goodness! I love desserts of every kind, but I have to say that my mama’s German Chocolate Cake she made me for my birthday every year is still my favorite. As a young girl, that coconut-pecan frosting was the only kind I liked. That has certainly changed over the years, but not my love for her German Chocolate Cake. That tart looks so good! I can’t wait to add it to my dessert recipe collection. My favorite dessert of all time is lemon meringue pie. I love Dorie Greenspan. She has some wonderful recipes. My favorite dessert? It’s so hard to pick just one. I love Christmas sugar cookies and buckeyes. Also love chocolate pie and creme brulee is up there too! And it’s on my Facebook now too!! Heavenly Chocolate Pie is my family’s favorite dessert since I was a child and is mandatory on Christmas and Easter. But that Classic Fruit Tart looks very appealing! What a delicious looking chocolate cake! Yummy! This cookbook looks really exciting! My favorite dessert is hot apple crisp! Yum! My number one favorite is moist, dark chocolate cake. My second favorite is tart lemon meringue pie. My third favorite ….. What? I was only supposed to pick one? Oooooo…I would love to have her book. 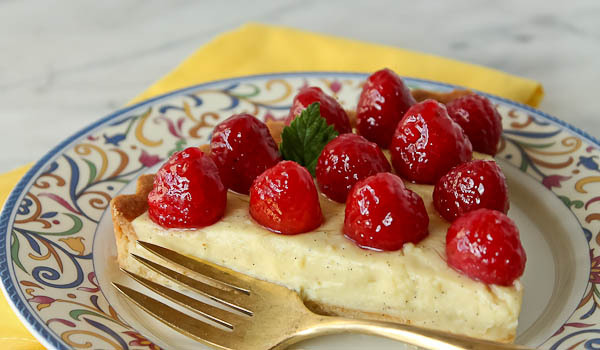 My favorite dessert would be a classic cheesecake–with berries, of course. My favorite dessert is chocolate pudding-no lie! Promoted on fb-love the photo!! !